At a recent candidate forum, I was asked why I didn’t seek feedback from stakeholders on our proposed school safety initiative, Keep Idaho Students Safe. Frankly, the question took me by surprise, since I and my staff have vigorously been seeking feedback from stakeholders since we first developed the proposal – and on its components for more than two years previous. It’s a question I hadn’t been asked at all, by the media or by any leaders of stakeholder groups, since I announced this proposal five months ago – until an individual asked that question at a political forum last Thursday, Aug. 2. An official with a stakeholder group then tweeted from that forum, echoing the man’s assertion. 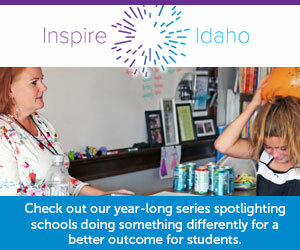 And now Idaho Education News wrote a story based on that assertion. The reporter did ask for details about our outreach, and my staff compiled a long list – virtually none of which was reflected in the story, although IEN later linked to that information at my staff’s request. Written by Sherri Ybarra, State Superintendent of Public Instruction.